I’ve used (and paid for) many tools over the years and I now know what works for me and what doesn’t. The below blogging tools are the only ones I really need on a daily basis to do my job. Over the years I have used several hosting providers such as DreamHost, GoDaddy and Bluehost, with mixed results. If you’re just starting out, one thing I recommend you do is to not just go for cheap. Cheap is cheap for a reason. Go for quality instead, and find a host where you’ll be able to easily scale up your hosting level without hassle and without breaking the budget. I now stick with DreamHost, a no-nonsense hosting provider that delivers a good variety of hosting packages, great customer support and excellent performance. DreamHost may not be the cheapest option out there, but they are not the most expensive one either. They find the perfect balance between quality and affordability. >> Check out my in-depth and unbiased review of DreamHost. GeneratePress is a combination of a free, lightweight WordPress theme and a premium plugin. This plugin allows you to add essential features, but only the features that you want to actually use. This makes GeneratePress not only lightweight, but also very powerful and flexible. If you’re looking for a theme that will speed up your site and is easy to customize, then GeneratePress is your best choice. >> Check out my in-depth and unbiased review of GeneratePress. One of the best ways to increase (organic) traffic to your website is by publishing quality content around keywords. SEMrush is a web-based tool that helps bloggers and Internet marketers find keywords that their websites are (not yet) ranking for and what competitor websites are ranking for. This process is called keyword research and should be an ongoing process if organic traffic is your main goal. SEMrush tells you the exact positions in the SERPs your website is ranking for certain keywords and it does this based on geographical location. This is not only useful for tracking purposes, it also allows you to optimize existing content for keywords you’re not yet ranking high for. Personally, I spend a lot of my time optimizing existing content rather than just pumping in new content. Not only do I find this very rewarding, it’s also very rewarding. Why leave a blog post sitting in the basement eating dust if you can improve it with a few SEO tweaks and get it to rank on page one of the search engines? That’s where a tool like SEMrush comes in super handy. While SEMrush is most useful as a keyword research and tracking tool, it also allows you to do SEO audits, run reports, track social media traffic, track backlinks, compare domains and much more. Ahrefs and SEMrush are two very similar tools and each other’s biggest competitors. They both offer very similar features and their pricing structure is also almost identical. So which one should you choose? Ahrefs is known to offer more accurate data than SEMrush when it comes to backlinks. So if backlink tracking and creating new backlinks is your main focus, Ahrefs is your best choice. Other than that it’s basically a personal choice. I find the user interface of SEMrush more intuitive and friendlier to navigate than Ahrefs which is why I prefer SEMrush. Others may find Ahrefs easier to use. What matters is that both these tools are an essential investment if you want to be serious about blogging and improving the rankings of your site. In business since 2016, Keysearch is a web-based keyword research tool that offers a wide range of features related to keyword tracking, competitor analysis and backlink tracking. While not nearly as powerful as Semrush and Ahrefs, Keysearch is perfect for the beginner or budget blogger who wants to dive deep into the exciting world of keyword research without breaking the bank. Keysearch is much more affordable than the aforementioned tools but, despite its flaws, is still a very useful tool to have. >> Check out my in-depth and unbiased review of Keysearch. Social Pug has attracted a big following in recent times with simple yet recognizable share buttons. With Social Pug, you can have the usual floating buttons as well as static buttons above and below content. The main reason for me to choose Social Pug for most of my sites is that it’s a super light-weight plugin. And with site speed becoming increasingly important, it’s crucial to use tools that don’t impact site speed too much. Just like most plugins, Social Pug has a free version as well as a very affordable premium version that offers features such as click to tweet, extra social networks and custom shareable content. I am using the free version myself and works really well. One of the most popular and best social media blogging tools for both beginners and seasoned bloggers is Tailwind. You can use Tailwind to help manage your Pinterest account as well as your Instagram account. So many bloggers that are active on Pinterest use Tailwind to increase their following, schedule their pins, join tribes and to get great analytical insights. It’s perhaps the most used and most needed social media blogging tool out there. Similarly, if you need help managing your Instagram account and grow your following in an ethical and effective way, Tailwind may be the answer. 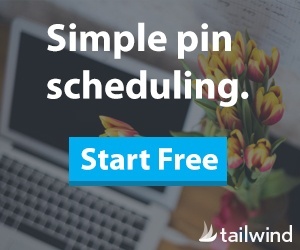 Tailwind helps with scheduling posts and finding the best hashtags. It also provides excellent analytics and monitoring tools to help optimize your campaigns. You can try Tailwind out for free. And, if you like it, you can go for a paid plan which is only $9.99 per month. Cancel anytime, nothing to lose. If email marketing and building an email list is important for your blog, Thrive Leads is one of the best options out there. Thrive Leads a powerful lead generation WordPress plugin that provides a complete list building and conversion solution. Thrive Leads also includes an A/B testing module and an advanced reporting and insights module. Popups, sticky ribbons, in-line forms, 2-step opt-in forms, slide-ins, sidebar widgets, screen filler overlays, content locks, Thrive Leads literally provides all the tools you need to build your list fast. It’s a no-brainer. >> Check out my in-depth and unbiased review of Thrive Themes. There are many email marketing software tools on the market, but my personal favorite is ActiveCampaign. We all know that building an email list is important in the world of Internet marketing, so it’s vital that you choose email marketing software that suits both your current and future needs. Building and designing email forms within the ActiveCampaign dashboard is a breeze, just like setting up a fire-and-forget email automation or auto-responder is. Email marketing software is complicated, so it’s important to have a user interface that makes understanding and working with the tool as ease as possible. ActiveCampaign has a beautiful and very intuitive user interface. It should also be pointed that ActiveCampaign has one of the highest deliverability numbers in the industry. And that’s super important, because if lots of your emails end up in your contacts’ spam folders, what’s the point in paying for an email marketing tool? ActiveCampaign is not the cheapest option out there but they are also not the most expensive one. But all things considered (features, ease-of-use, deliverability) their pricing structure is spot on. 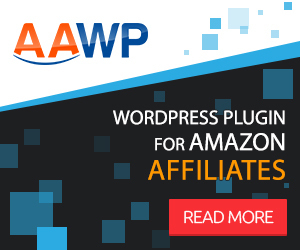 One of the best and most flexible affiliate marketing plugins designed for Amazon Associates is AAWP. The Amazon Affiliate WordPress Plugin allows you to easily create and customize comparison tables, product widgets, product boxes, lists of new releases and much more. The beauty of AAWP is that that this plugin is able to output very professional looking tables and widgets without too much effort. And because these tables and widgets look so appealing and credible, conversion rates will skyrocket. It’s also worth noting that AAWP is fully compliant with the strict terms and conditions of the Amazon Associates program. I have been using AAWP for my affiliate site for quite some time now and consider it to be a no-brainer. So if you want to increase your affiliate revenue, get yourself an AAWP license and start configuring these beautiful tables. 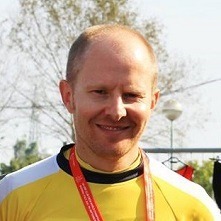 >> Check out my in-depth and unbiased review of AAWP. If you don’t have skills in professional design software such as Adobe InDesign or Photoshop, Canva is by far the best alternative. Even if you have zero design skills (like me), with Canva you can still create decent looking images, logos, and other branding related elements. 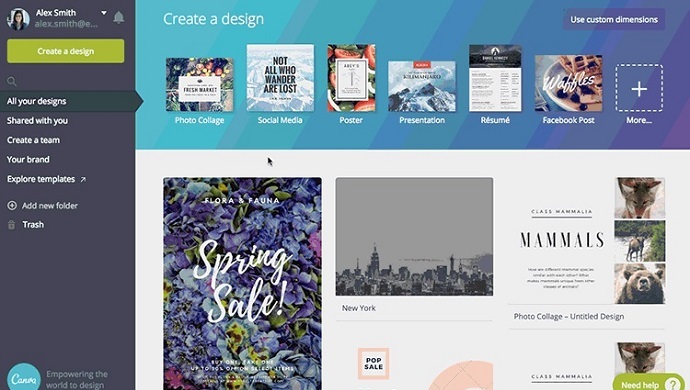 Used by professionals as well as non-designers, Canva is a free web-based graphic-design tool that gives users access to over a million pictures, graphics and fonts. Their user interface is very intuitive so that designing stuff actually becomes enjoyable to do. Canva also offers affordable paid versions which give you access to more stock imagery and also help you with creating a personalized style for your own brand. I would also like to mention PicMonkey, my second favorite online design tool. It’s very similar to Canva and I mostly use it for creating and filtering images. The market for WordPress plugins is huge, and while it’s tempting to install a plugin for every issue you encounter in WordPress, it’s important to only install plugins that you really need and add value to your WordPress experience. Some plugins are essential, other plugins are just plain unnecessary. Be conservative when it comes to installing WordPress plugins. Each plugin has the potential to slow down your site and make your site vulnerable to security issues. Only install plugins that you really need and don’t install plugins that you can easily go without. It’s also important to always update your plugins to the latest versions to avoid security and compatibility issues. Below is a list of plugins that I use myself. All of these plugins are free, but they do have premium versions available. In addition to the social media plugins mentioned above, the following plugins are the only ones I need. Securing your site is an absolute must. You will need a firewall, a scanner and protection against brute-force attacks to make sure your WordPress blog does not get hacked or attacked. There are several good quality security plugins available but I recommend Wordfence as they offer a good set of features with a friendly user interface. My favorite SEO plugin that helps you to optimize individual web pages with on-page SEO elements. Please note though that SEO is complicated, and Yoast is only a good start. If you want to be serious about Internet marketing, I strongly recommend you study SEO in more detail. One of the best plugins to help improve your website performance is W3 Total Cache. Once your site is going through a growth phase, it becomes essential to have a critical look at the performance of your blog because a slow website will push visitors away. W3 Total Cache has a learning curve but it works very well. Your website needs a contact form like Blog Pioneer does. Contact Form 7 is a plugin that helps you configure simple web forms and integrate them into pages and posts. 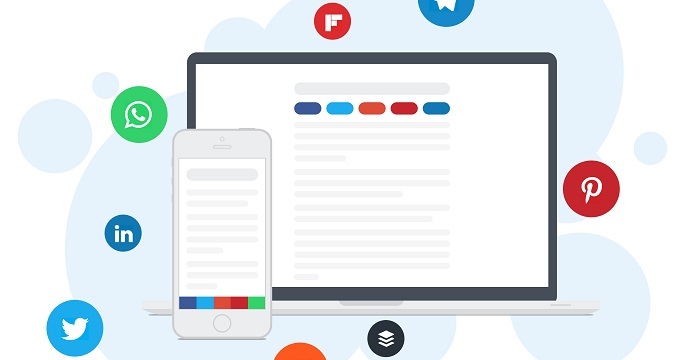 Great to see these amazing tools out there for those new to the blogging game! Thanks AJ for sharing those helpful and useful WordPress blogging tools. Keep it up!